Welcome to Oriental Harbor, and Oriental Harbor Real Estate. Located at the mouth of the Neuse River on the Intracoastal Waterway. Whether you purchase or rent one of our boat slips, buy a home, or just come for a visit, you'll be part of one of North Carolinas' most interesting and historical communities. 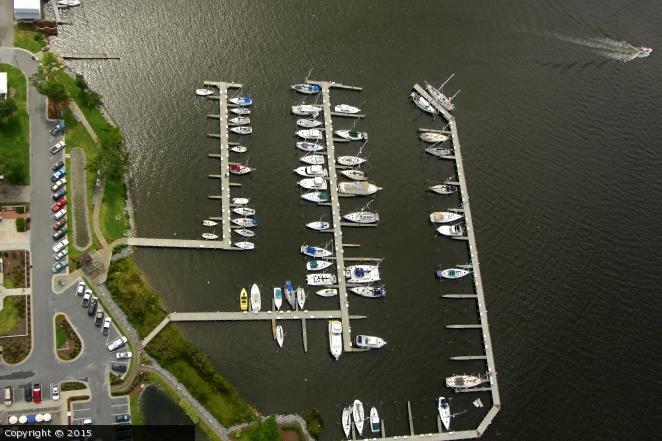 Oriental Harbor features a 110 slip marina in the heart of the village of Oriental, North Carolina's Sailing Capital. Whether you purchase or rent a slip, you'll enjoy spectacular views from your boat and be within walking distance to Oriental's shops and restaurants, the prime real estate of the area. Oriental Harbor Real Estate can help you find or sell a home or boat slip. The town of Oriental has a sheltered harbor with no lunar tides and dozens of sailing regattas every year. It has all the marine-related businesses one could ask for. Oriental Harbor and Oriental Harbor Real Estate are home to both power and sail boats - and boaters that enjoy this quiet coastal village. If you share our love for boating and the water, and like the idea of a place where the old and the new live comfortably side by side then come visit Oriental. You will find us at 35º01.5N, 76º41.9W, on the Intracoastal Waterway at mile marker 182, where the Neuse River flows into the Pamlico Sound. Oriental's sheltered harbor with no lunar tides and dozens of sailing regattas every year has earned us the title of "Sailing Capital of North Carolina." Take US 70 from Raleigh through Kinston to New Bern. At New Bern take Highway 55 East to Bayboro and on to Oriental. You'll see signs for Oriental Harbor at the foot of the bridge. Take I95 to the Highway 70 exit and proceed to New Bern. At New Bern take Highway 55 East to Bayboro and on to Oriental. You'll see signs for Oriental Harbor at the foot of the bridge. Take Highway 70 to Havelock. There you can take the Cherry Branch ferry (a free 20-minute ride) to Minnesott Beach, and on to Oriental.